In August, Thilo Sarrazin a member of the board of the German Central Bank, and a critic of Islamic immigration, mentioned that Jews and Basque and some other ethnic groups have a common gene. What followed was a storm of protests and accusations that Sarrazin was anti-Semitic. Sarrazin was dismissed from his position on the board, and newspaper articles explained that it was for remarks that he had made about Muslims and Jews. Last week, Karel De Gucht, the European Commissioner for Trade, gave a radio show his considered opinion of Jews. Naturally De Gucht put on his best jackboots, and explained that there will be no peace because the Jews run America, that Jews believe they are always right, and that it's impossible to have a conversation with even a "moderate Jew". While a few Jewish groups have protested, the European Commission has shrugged, and the media has shrugged too. 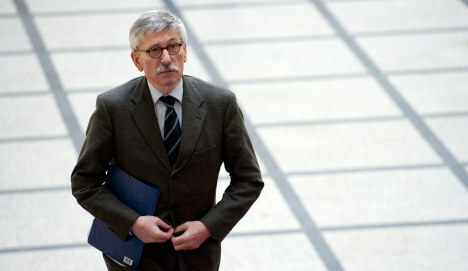 The odds that De Gucht will be forced out of his job, the way that Sarrazin was are minimal. But the difference between Sarrazin and De Gucht, was that Sarrazin said something truly unacceptable about an untouchable group. Muslims. While De Gucht mainly expressed a popular view among European elites about the Jews. The ferocious charges of Anti-Semitism against Sarrazin hinged only on him stating a casual fact that Jews are genetically related to one another. It isn't Anti-Semitism, it's Science. Sarrazin was not charged with Anti-Semitism because of what he had said about Jews, but because of what he had said about Muslims. The media did not bother to report that Sarrazin had said that he would prefer immigration “if it was by eastern European Jews with a 15-percent-higher IQ than the German population.” An odd remark for an "Anti-Semite" to make. It would indeed seem that Thilo Sarrazin has a more positive view of Jews, than Karel De Gucht does. But it's not really about the Jews. It's about Muslims. The Jews were used as cover by the advocates of multiculturalism to charge Sarrazin with bigotry. And there was a reason for that. Sarrazin had described himself as a mongrel, with French, Italian and Polish ancestry. His criticism of Muslim immigration was not genetic, but based on their refusal to integrate into Germany. Sarrazin had pointed out that other immigrants from Eastern Europe and Vietnam were productive members of society. Muslims however were not. 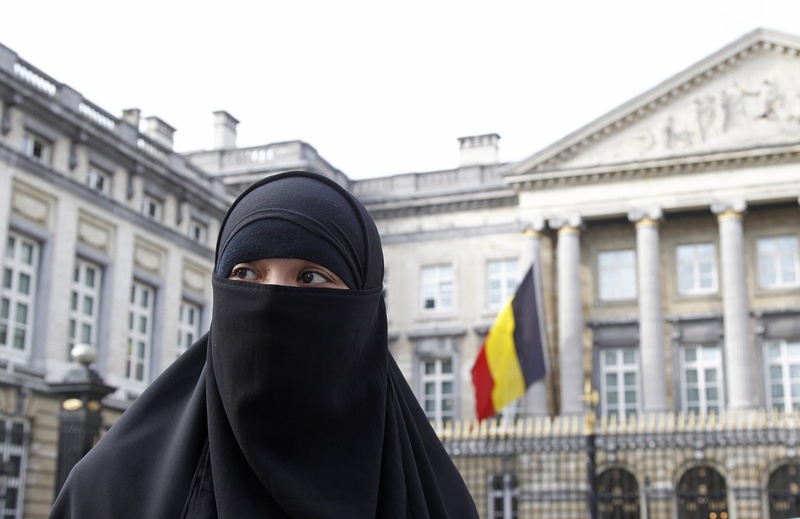 Muslims are not a genetic group, but a cultural and ideological one. The media couldn't charge him with racial hatred for pointing out the cultural problems of Muslim immigrants. And discussing his remarks too much, would raise the danger that people might agree. And so the media was forced to treat Sarrazin's offhand remark about Jews and Basque sharing genes as some sort of Third Reich throwback in order to charge him with racism. Except that there are Basque and Jewish genetic markers. But again this wasn't about Jews or the Basque-- it was about Muslims. Had Sarrazin done a De Gucht, and talked about how obnoxious the Jews are, and how they control the world, statements that could have been easily lifted from Der Sturmer, the result would have been nothing but a collective shrug. If Sarrazin had really been Anti-Semitic, he would have never been fired. Indeed had Sarrazin been any kind of bigot, he would still probably have his job. The European ruling elite is commonly bigoted, not just toward Jews or racial minorities. Sarrazin's crime was not bigotry, it was that he aggressively criticized a disastrous government policy. That is the real difference between Thilo Sarrazin and Karel De Gucht. Sarrazin made remarks criticizing the current policies of European states. 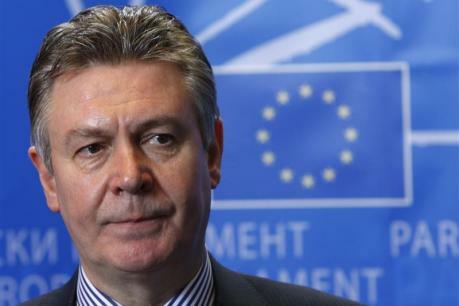 De Gucht made remarks in support of the current policies of European states. That is why Sarrazin was forced out, and De Gucht gets a pass. But forcing out a Bundesbank board member because his criticisms of the disaster toward which the current course is leading the country is impolitic. It is much better to charge him with an offense such as bigotry that delegitimizes his views and makes it less likely that anyone will listen to him. The issue here is not race or religion, but policy. European policy is pro-Muslim and Anti-Semitic. That puts Karel De Gucht on the right side of the ruling elites, and Thilo Sarrazin on the wrong side of them. European policy is to promote the Muslim world, while squeezing Israel. De Gucht's remarks expressed the hostility toward Israel behind that policy. Some in the ruling European elite might wish that he had not been so blunt, mainly because in private they do agree with him. De Gucht stated European policy in a somewhat vulgar way. Sarrazin disagreed with that policy in a more restrained way. The different treatments accorded to Sarrazin and De Gucht make it obvious what the real crime was. Disagreeing with a policy that fills Europe with Muslims. De Gucht, whose family have been accused of being Nazi collaborators, comes by his bigotry honestly. And bigotry is not a threat. On the other hand, informed criticism is. Had Thilo Sarrazin limited himself to making vulgar jokes about Muslims with other members of the ruling elite, with an occasional De Gucht like slip in an interview, he would have gotten a pass. It is no more than much of the European ruling elite does anyway. But his arguments questioned the sanity and competence of those making the decisions. They raised questions that most Europeans have already thought of on their own. And that made him dangerous. So the media was not disturbed to hear a top European Commission official raising views about Jews that were supposed to have gone out of style along with jackboots and palm first salutes. Again they too agree with De Gucht. All it takes is a brief reading of editorials and cartoons to see that. They just tend to avoid being quite as vulgar about it. But they were disturbed to hear of a Central Bank official questioning a pro-Muslim policy that will destroy individual European states and the national identity of their peoples. Because they are invested in that policy themselves. Now De Gucht has apologized with a non-apology that will only serve to "prove him right", that Jews do control everything. After all they made him apologize, didn't they. But what is there really to apologize for? De Gucht said what he believed. He said what much of the European ruling elite believes. He hasn't changed his views since then. It would be better if more European policymakers spoke as openly about what they believe, instead of hiding behind euphemisms, and letting their true opinions out only at dinner parties. Nor are such views confined to Europe. Much of the American political and cultural elite now shares them as well. Sarrazin wanted to open a debate on Germany's immigration policies, he was smeared as a bigot and fired for his trouble. De Gucht wanted to blame the Jews for everything wrong in the Middle East, and everything is business as usual. And Sarrazin was targeted using charges of Anti-Semitism, even as Europe's biggest Anti-Semites today are those very Muslim immigrants. De Gucht gets a pass on Anti-Semitism, all he said was that Jews are dangerous fanatics who are secretly in control of everything. 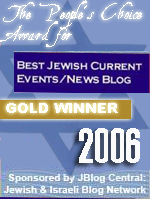 While Sarrazin noted that Jews have common genetic markers. De Gucht's actual Anti-Semitism got a pass, while Sarrazin was driven out on false charges of Anti-Semitism. The real charge that he was obstructing the destruction of Europe by Muslim immigrants could not be aired in public. Sarrazin was a member of Germany's Socialist Democratic Party. He is certainly no right winger, as critics have charged. The SPD is not worlds apart from De Gucht's own VLD party. Both men are economic officials formerly charged with corruption. They have a good deal in common on the surface. But Sarrazin took a common sense approach to an obvious problem. De Gucht fell back on an old European tradition of blaming the Jews. And in a rapidly Islamizing Europe, blaming the Jews is the safer approach. Had Sarrazin blamed Germany's Muslim integration problems on European support for Israel, the same people now cynically damning him as an Anti-Semite would instead be cheering him for actually being an Anti-Semite. But rational arguments are no match for irrational ones. If you suggest that Muslims are at fault for their own violence and hostility toward non-Muslims, you are a bigot. If you blame the Jews for it, you are obviously a deep thinker. That is the way it goes now among the advocates of the cult of multiculturalism. They say that Islamophobia is the new Anti-Semitism, but that is not true. Islamophilia is the new Anti-Semitism. Wow, a great article and sharp observations that might easily have been breezed over. Glad the Sultan is on the job. Very depressing though, and disheartening. Not to mention confusing. It seems that now anti-Semitism is no longer cut and dried but in the eye of the beholder; central to Muslim apologetics. Too much democracy brings about anarchy, which in turn opens the door to a "strong power". In the same manner today's multiculturalism is the way in for "monoculturalism" - islam. All dissent is quickly silenced with the help of the media. I think we are sadly too late already to stop the process, and I fear for our children and grandchildren. Great article, as usual. Your insight is superb, I wish our leaders would listen. They say that Islamophobia is not new Anti-Semitism, but that is not true. Islamophilia is the new Anti-Semitism. They say that Islamophobia is THE new Anti-Semitism, but that is not true. Islamophilia is the new Anti-Semitism. What the Nazis and their European collaborators have not finished in WWII (annihilation of the Jewish race) are now assisting the Arabs and their collaborators to continue the hideous work of Hitler. The Legacy of Islamic Anti-Semitism is raging on in all Arab states and their collaborators in Eurabia. Excellent commentary. I wish that more progressive blogs and people would have more of an open ear to these issues, but too often the messenger gets in the way. Same from the other direction. There's just too much black and white. That said, the European ability to use a blind eye to what is occurring shows they are not as smart about the world as their history suggests. Muslim ideology, as offered, is antithetical to the West and Jews, but Christian ideology still looks sees Jews with a prejudiced heart. Maybe this upcoming Rosh HaShanah will bring Messiah's return and He will then reset everybody's clock. This neener-neener stuff is getting OLD. Almost 6000 years of recorded history have passed over our heads and it's still the same old bigot-anti-semite thing. Satan is eating our collective lunch. We ALL breathe the same air and drink the same water. The troubled family of man needs a big-time wakeup in the form of a definitely unmistakable ker-POW right in the kisser. One of these Rosh HaShanah's, maybe even this one, there will arise a whole new set of "problems" for the bigoted elite of the earth to consider. Bring it on LORD. Bring it on. Sultan, the former Soviet Jews in Germany, 80% of whom are welfare recipients are even more dependent upon welfares than the mainly Kurdish and Turkish German Muslims. I'd be careful before lauding the likes of Thilo. Anti Semitism is higher than Islamophila, and 40% of Germans are always kvetching about how Jews are welfare recipients. It's safer to say that the first generation of any immigrant group is dependent upon welfare. Whatever the problems of Muslims, the problems caused by the East EU and Russian immigrants is bigger where welfare is concerned. Just my two cents. By the way, i cannot find the comments that Thilo made about intelligence of EU Jews, and his being pro Jewish. Were they in a German or Jewish source? ken, yes you're correct. I've fixed it. emuna, Jews shouldn't be living there in the first place. And in any case their children will be productive, rather than violent criminals trying to take over the country. The Sarrazin Debate : by Spiegel online "Germany Is Becoming Islamophobic"
Some of Theo Sarrazin's delightful 'racist' quotes : at a time when one needs courage for speaking up the truth! with a 15 percent higher IQ than the German population." other than in the fruit and vegetable trade." "We are, on average, becoming dumber in a natural way." I can just take a vacation in the Orient." "Before someone just sits there on the 20th floor and watches television all day, I am almost relieved if he does a bit of under-the-table work." only regulate the temperatures by opening and shutting their windows." Is this the link you meant? or is it another? The quotes below that are not mentioned at the German paper, where did you get them? The problem here is as Sultan said, that they refuse to integrate, and not that the opportunity is not there, on the other hand, Germany's social system is such, that it creates a society like that. The same in France. Not so in the UK, or the USA, the Muslims have done very will, better than average. Why aren't Turks and Kurds in the USA having these problems? I think that the type of immigrants Germany attracts are those that don't want to integrate or better themselves, but still live in their "village"
As such, anybody who doesn't want to integrate shouldn't be allowed in. Thilo is right there. to Sultan : it's my pleasure, to see Sarrazin's delightful quotes reproduced in your blog! They give an idea of the mindset of this remarkable man, who, more than another hero, Geert Wilders, is in fact paying a high PERSONAL price for his civil courage in expressing what our dhimmi leaders cowardly pretend to ignore : he's no politician but a former Finance Minister,whose privileges have been now downgraded on Bundesbank's Board of Directors, on top of the authorities'public slur to a high profile official like he is, and a long legal fight vs the Central Bank is ahead for him. Not so - and luckily for him and us all- Geert Wilders, whose courage has rewarded him with more political exposure, more seats for his Freedom Party at the Parliament, increased political popularity altogether . I appreciate the link Sultan thank you. The thing is who are you talking to? The Germans? They want ALL immigration stopped not just Muslim, and they won't agree with you about the hostile and violent because they see Israel and Jews by extension as being the same. As i said there is more anti Jewish sentiment, and the violence you mention is blamed on Israel. In England the 7/11 terrorist attacks were blamed by the UK populace on America and the Iraq war. Thilo's comments were condemned and i'm inclined to agree his comments are off mark here. First of all, the of 4 million Gemran Musllions only a 1 million or so have German nationality. The rest don't have access to education, and cant integrate. But more importantly, these german muslims are not muslim, they don't have a muslim education, as Der Spiegel said, Islam isn't strong in Germany as it is in the UK or the USA. Those are cultural habits, followed by the non muslim Kurds and turks too. Ynet reported that a lot of German upper class and middle class are converting to Islam. there area bout 100,000 converts, from the elite segments of German society. I'm not comfortable with endorsing Thilo (he is no philo semite) for Hitler used to admire Jews, as did Lutherans, and look what happened. It's said that Hitler used to make comments like Thilo's till he felt that he and his fellow Germans were victims. Should the economic climate turn for the worse, Thilo would be the first to be rabid anti Jewish. I'm speaking to anyone who's listening. The integration argument is a dead end. Muslim integration in the US and the UK has not prevented violence, if anything it seems to have worsened it. And Islam these days is becoming quite strong among German Muslims, which sizable amounts talking about Islamic law. Unfortunately Anti-semitism seems to be still popular in Germany, and if what you say about the ruling elite is true, then supporting Muslim population could be explained as a buffer to neutralize the jewish influence, but that does not mean that the "ruling elite" are islamizing Europe. They are simply making a balance between the two "inferior races" in their community. Anyways I dont know why you exaggerate the govermental support towards Muslims immigration, from my perspective, its quite normal to facilitate immigration in a country in need of labour force, don't you think? There is hardly a Jewish presence in Germany to balance out, the balance is between native Germans and Muslims, a balance which demographics shows will not hold. Destroying your country to build up a labor force is a lot like getting a job as a suicide bomber to pad your resume. It is true that the jewish population in Germany is not large (about 120,000), but still it remains quite influential on economy and politics. Besides that, I don't think that any goverment will allow the Muslim population to exceed its own native population! Be realistic. These demographic studies regarding Muslim population in Europe(despite its apparent anti-islamic tone) is very manipulative.It's a message, and it's not directed to us, it's rather a message to Muslims telling them that they don't need violence and extremists to overrun Europe, i.e. a very clever way of hypnotizing them. The actual Jewish population is a good deal smaller than that, and much of it consists of senior citizens who hardly speak the language, and were imported for image's sake. "Besides that, I don't think that any goverment will allow the Muslim population to exceed its own native population! Be realistic." Tell that to Sweden or Norway... or France. "Rational arguments are no match for irrational ones" . "I'd be careful before lauding the likes of Thilo. 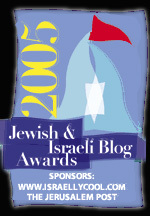 Anti Semitism is higher than Islamophila, and 40% of Germans are always kvetching about how Jews are welfare recipients...problems caused by the East and Russian (Jews) immigrants is bigger where welfare is concerned..."
What a series of gratuitous affirmations, totally deprived of any link pr text upholding them. Still he's ever eager to demand links -even though links are there! from others... Emuna, no way to disguise your dislike of Sarrazin, whom you insist in calling Thilo, as he were an old chum, feigning a familiarity that could hardly exist, out of your remarkable lack of affinities ...What you are trying to do,yet to no avail, is surrepticiously dimishing Sarrazin's sound human, moral and intellectual value before the Jewish readers, maliciously downplaying and reducing the value of his support and his clear acknowledgment of Jewish intelligence's paramount contribution to civilized Germany.... all the way down to the Chuzpah of insinuating that, given the circumstances "Thilo would be the first to be rabid anti Jewish" !...while you're pathetically trying to justify not only muslims/Turks living off welfare at the expense of EU and US tax-payers and citizens, but also their failure to produce anything significant : (Quote) "... they refuse to integrate .... on the other hand, Germany's social system is such, that it creates a society like that. The same in France. Not so in the UK, or the USA, the Muslims have done very will, better than average..." Have they? Where are your sources, Emuna? Tell us more about it... Sure, the NASA is all there waiting for Muslims' contribution! "I'm not ... endorsing Thilo (he is no philo semite) for Hitler used to admire Jews, as did Lutherans, and look what happened. It's said that Hitler used to make comments like Thilo's till he felt that he and his fellow Germans were victims". "He felt?" "It's said"? By you, for sure. If you prove your utter nonsense with some precise text and quote, I promise I'll be taking you more seriously. The links, Amuna! Come out of the closet... one of those 'fellow Germans, victims' , maybe?